Have you seen Michelle Barcus, CNM before? Michelle Barcus is a dependable and attentive midwife caring for the East Norriton, PA community. Ms. Barcus attended the University of Pennsylvania, where she earned her master's in nurse-midwifery degree. She also holds a bachelor's degree from the Catholic University of America and the University of Maryland. Ms. Barcus is a part of Women’s Associates. She gives each patient her focused attention, and she prides herself on delivering the best treatment available. 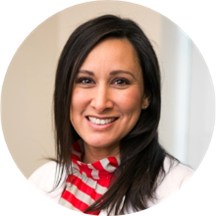 Ms. Barcus is sensitive to the uniqueness of each patient's situation and adapts her consultations and treatment options appropriately to accommodate individual needs and concerns. This was my first time at this facility and with Michelle. Wait times were not long and Michelle was very nice and personable. Michelle was very friendly. She gave me all the information I needed and listened to my concerns. I enjoyed my first visit to this office. She was super nice and very sweet. I felt like I have seen her for years. Really happy with my visit and happy I chose her and the office.